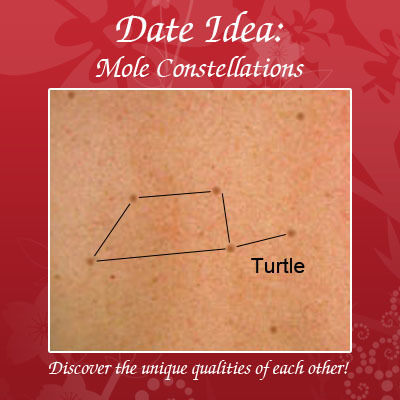 What could be more romantic than discovering new things about your date? Instead of spending precious money on food or entertainment, find romance in the unique qualities of each other. But be cautious; it can lead to other things. Namely, a request for a back massage. I’ve had a couple of big heart-shaped valentine balloons floating around in my office since valentines day. Well today one of them finally started to give up and drop down from the weight of the string that was attached to it. Feeling sympathetic for the poor balloon, I couldn’t help but cut the string and set it free. To my amazement, as soon as I had cut it loose it started floating around the room perfectly balanced in flight. I was greatly amused and intrigued by it, and I just sat and watched it for a while. It just went up and down and up and down and all around my office without touching hardly a thing. If I had cut the string sooner, it would have just floated away never to be seen again. If I had waited longer, it would have never had the chance to experience the joy of freedom. I laughed at it for a while until it made me realize that the same thing applies to our own hearts. So many people feel confined by the string that’s holding down their heart and they cut it loose eager to experience the freedom of love and emotion. But if they cut the string too soon, their heart will go straight up, unbalanced, higher and higher with emotion and excitement until all of a sudden they can’t hold themselves up any longer and they find themselves in a doomed freefall leading to depression and a broken, shattered heart. If, however, they had waited until the time was right to cut the string, they would have had the unbelievable experience of perfectly balanced love with no regrets.